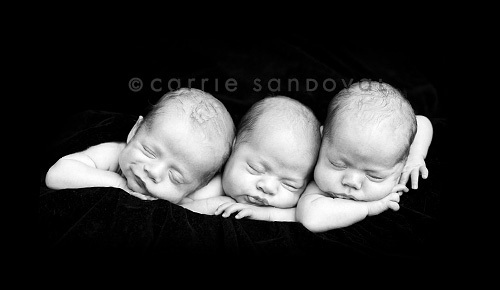 I know it will be a long wait to get any news on the book, so just to keep you all checking back, we'll post babies! Here's baby Sidney! I had neglected my black backdrop for months. Carrie reminded me how beautifully it can photograph this week. After I saw one of her gorgeous pictures on the black, which I fell in love with immediately, I promised to make myself use it this weekend. Sure, funky blankets with awesome textures are great, but I love the simplicity and mood captured on the black velvet. 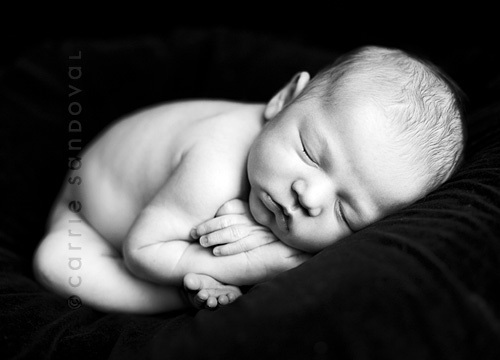 Maybe she will share a few of her newborn girl from this week too. They were all beautiful. There is something amazing to be seen between a mama and her new baby in those first few days and weeks. I'm not a mom myself, but I have been lucky enough to witness the bond formed between a mother and her new child. It was incredible. I can't wait for that moment myself. 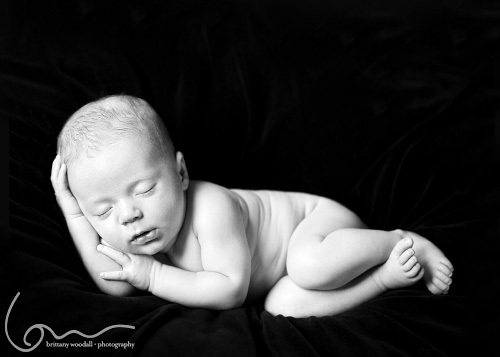 Next time you go into a newborn session look for that connection. It's there. Capture it. Tech info: glass doors right. 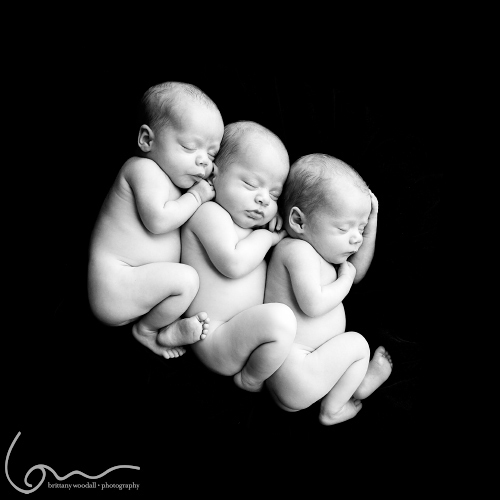 We have always wanted to photograph newborn twins together... we one upped that! 8 weeks olds to boot! Just to show you what we were thinking. We want the first 85% of the book to be full bleed and "matted" images... a showcase of images! And the last 15% would be tech info - both camera and set up and any other thoughts on that image. THANKS SO MUCH FOR YOUR INTEREST AND FEEDBACK! We will post to the blog as we know of updates ourselves! For the collector and photographer alike, barebaby is a book filled with captivating artworks from baby photographers Carrie Sandoval and Brittany Woodall. 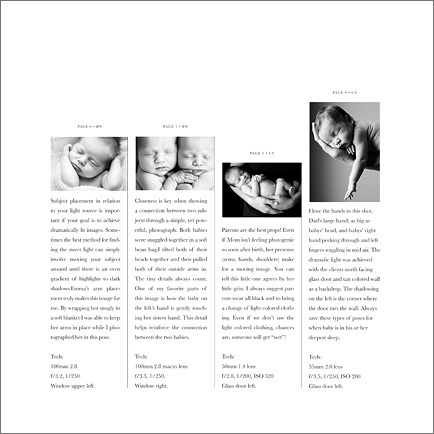 The book is also a detailed workbook, containing descriptions of the many techniques used to achieve the distinct baby portraits found among the pages of barebaby. From the camera settings to the camera angle and use of light, this collection of images and helpful text combine to form a true workshop in a book.